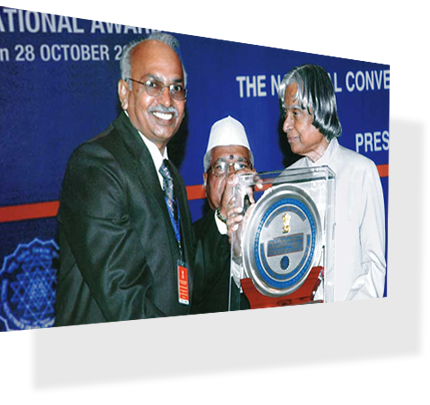 NATIONAL AWARD for BEST QUALITY from his excellency. Since inception, Kich has always fulfilled global quality parameters. Kich architectural products are the epitome of enduring strength, stunning aesthetics, unique designs and impeccable functionality. With a vast network of more than 55 product galleries, 2 application centers, 200 dealers and a team of more than 50 marketing executives across the country, Kich has always been able to deliver uncompromised pre and post sales service support to its customers. Besides being well-rooted in India, Kich has a vast sales and service network in Europe, Middle East and Africa. With the splendid guidance of its founder Shri Chimanbhai Hapani and under the dynamic leadership of his three sons Mr. Bharat Hapani (Managing Director), Mr. Nitin Hapani (Director: Manufacturing) and Mr. Dinesh Hapani (Director: Export), Kich has always been able to achieve extraordinary progress with customer delight. To suit its production objectives, Kich operates from a state-of-the-art manufacturing facility which spreads in 2,00,000 sq. ft. area in Rajkot. Due to an in-house Design Studio, Tool Room, R&D Division and Product Testing Facility, Kich has succeeded in consistency of product performance. Kich also has multi-facility Corporate House spread across 23,000 sq. ft. area which is rewarded with LEED India New Construction (NC) GOLD Rating by Indian Green Building Council (IGBC). This Corporate House empowers Kich to manage its entire pre and post sales service network with a great ease.